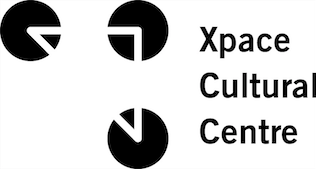 Xpace Cultural Centre is seeking artworks from student and emerging artists for a group exhibition tentatively titled The Bald Eagle’s Claw, curated by Philip Leonard Ocampo. The exhibition will run from July 5 – August 3, 2019. The Bald Eagle’s Claw is an exhibition that examines the concept of “Americana”, a culture characterized by patriotism, nostalgia and it’s inherent connection to “the American Dream”. The American Dream’s promise of prosperity, success, and freedom, although rooted in prejudice, racism, and blind nationalism, influenced popular consciousness on a global scale. This exhibition seeks to explore the ways in which cultural influences from the United States have been be a disruptive and disorienting force.The Bald Eagle’s Claw focuses on this false idea of exceptionalism in the USA while challenging its dominating presence within global consciousness. Furthermore, this group exhibition intends to acknowledge the interpretations of the people for whom its ideals were not meant for. Artists are invited to consider the following questions: How is Americana culture understood and represented/misrepresented in other parts of the world? How does US popular culture and mass media infiltrate world-wide societal dynamics? How can one reject and refuse this cultural dominance in favor of asserting one’s own identities? Submission of artworks in any and all mediums are welcomed and encouraged. Works must be ready for exhibition by July 2nd, 2019. All applicants will be notified by February 2019. All selected participants will be paid a project fee for the exhibition.